A Hungarian oligarch, Russian businessmen, and a Ukrainian deputy minister. Middle-ranking civil servants, police businessmen, and state entrepreneurs. They all took part in an elaborated and well-organized scheme of bringing hazardous waste to Ukraine. Documents in our possession show that two Ukrainian companies, Spetsservis (Special Service), a state enterprise of the Ministry of Interior, and NPP Osma Oil, limited liability company, imported over 23,000 tons of tars and maleic anhydride sludge from Hungary in 2001 to 2003. Three foreign companies served as guarantors and suppliers: Geohidroterv Kft, Metratek Kft and Roscop Inc. These firms concluded deals on organizing reception and disposal of maleic anhydride residuals and neutralized tar residuals with Osma Oil, and an agreement with Spetsservis on handling the reception and utilization of tar. It is commonly known that acid tar is hazardous waste generated during petroleum product refining by vitriol oil. The state company Spetsservis took a lease on a land plot at Sirka, a state mining and chemical company in Novyi Rozdil, until 2005; this is where they dispatched more than 17,000 tons of tars. They managed to burn away just several tons, while the rest was allegedly converted into a modifier by mixing up with clay, earth, lime, or coal. Spetsservis succeeded in transporting about 900 tons to Transnistria, a breakaway region of Moldova, while the rest of the hazardous waste is still kept in the open air. As Sirka director said, the company under the Ministry of Interior keeps ignoring his demands to take the ‘goods’ away. NPP Osma Oil, in its term, ‘concluded an agreement on receiving and unloading railroad carriages with Prykarpatbud’, a state company in Drohobych. The businessmen also brought the waste to another company, joint stock company Zahidenergo’s thermoelectric plant in Dobrotvir, to burn away. The plant was not controlled by Rinat Akhmetov yet, with 70 per cent of shares still owned by the state. Osma Oil also ‘transformed’ its cargo into a modifier, a part of it deposited for storage via a private entrepreneur to the joint stock company Lvivpokizol; the company is still unable to get rid of the waste, though the contract expired in 2005. The waste remains at the open air in Stryi district. The rest of Osma Oil’s cargo travelled to a metallurgic equipment factory in Seredyna Buda (joint stock company Seredinobuds’kyy Zavod Metalurhiynoho Obladnannya), Sumy region. The freight is still there, and no one owns it in fact, as the company has been closed down. Documents that Zahidenergo shared with us indicate that the company had won a number of trials against Osma Oil, resulting in annulment of the contract on tar supplies and burning and a subsequent court order to Osma Oil to remove the waste out of the plant. Prykarpatbud has also won a trial, something that should force Osma Oil to take away their cargo. However, we have seen with our own eyes the waste still dumped at the open air, in close proximity of living houses. The company has not fulfilled any of courts’ decisions, as it was declared bankrupt in 2006. An insolvency receiver failed to find managers, documents, stamps, or seals of Osma Oil. A criminal investigation was launched on importing hazardous waste to Ukraine in 2005. It was stopped in 2012, in the absence of crime components. - The smudge filled my lungs, my eyes tearing. It was impossible to breathe. Doctors started to diagnose pneumonia or lung inflammation in my colleagues a day after, - says Orest Venchak who worked at Sirka’s workshop of high-modulus cryolite and had a first-hand experience of the story. – We refusing burning up these matters after two days. - There was an overwhelming unemployment in Novyi Rozdil, while this company paid immense money for unloading, - remembers Anatoliy Shalayev, a local councillor. Lots of trains arrived at Sirka. It was a cushy number, as worker just had to work two to three hours a day. After several days of shovelling they could earn a two-months salary. However, the easy money turned into a hell after a week, with their bodies breaking out in a rash, workers’ having burning pain in the chest and a fever. As trains with unknown cargoes kept arriving, the public revolted. - People protested in front of the city council with posters saying No to the New Chernobyl in Novyi Rozdil in 2001. We had a great struggle then, - said Shalayev. Spetsservis chose this community for a reason. With an experience of extracting sulphur since 1952, the town had a huge number of depleted pits suitable for burying anything. Workers of a local brickyard (joint stock company Rozdilskyy Tsehelnyy Zavod, previously a branch of Sirka) were also exposed to the obscure freight. Zinoviy Seretnyy, the-then union leader, said that workers had to admix the matters when producing bricks. However, workers refused working and sent a joint letter to the management after having breathing problems. - It was difficult even for me, a local councillor, to find out what kind of cargo it was and why they wanted to burn it away so quickly, - remembers Anatoliy Shalayev. – We learnt some days later that people are going through the same processes at a cement plant in Mykolaiv. Workers also revolted there. Altogether, around 300 carriages arrived at Sirka. In a meanwhile, tars from Hungary reached another part of Lviv region. - Workers from Dobrotvir thermoelectric plant called me and asked for help. They told me about trains with unrecognized cargoes, - recalls Dmitry Skrylnikov, a lawyer. – Workers who had unloaded the trains were having health problems. - Two representatives from Hungary accompanied the cargoes, - said Orest Venchak from Sirka. – Artyushchik mostly was silent. Igor Nechaev was in charge, a short stature man with a small beard. They spoke in Russian. As mentioned above, Spetsservis and Osma Oil had the ‘tar contracts’ with Geohidroterv Kft, Metratek Kft and Roscop Inc. On behalf of the latter one, the contracts were signed by the director. His name was Igor Nechaev. The trade register of Hungary indicates that Igor Nechaev and Vladimir Artyushchik also co-owned METRATEK Kft at that time. They also have come to light in Ukraine. Nechaev is a part-owner in Inter-Invest, a joint stock company registered in Lviv. He declared Verkhnyaya Pyshma in Sverdlovskaya region, Russia, as his home town. His colleague Artyushchik, a co-owner of Interkom-Servis joint stock company in Lviv, was also registered in the same region. The two organizations mention wholesale trade and waste treatment among their activities. Nechaev also has contributed to Osma Oil, as he worked as an operating technologist there some time ago. Interestingly, Boris Nikolenko, the Spetsservis director, and his ‘Hungarian’ partners decided to alter the tars after the revolt of workers in Novyi Rozdil. This is when the ‘technical provisions for application of MG modifier in producing construction materials and asphaltic concrete’ were affixed with the seal of Inter Invest (Nechaev a co-owner) which undertook the business of mixing up tars at Sirka. Perhaps, businessmen enjoyed full support from the management of the mining and chemical plant in Rozdil, as Aleksandra Halechko, the wife of the-then Sirka’s director Bohdan Halechko, was yet another co-owner of Inter Invest. Nechaev and Artyushchik feature at the portal of Russian inventors as co-authors of two patents: “hydrometallurgical obtainment of zinc” and “processing silicate matters that contain colored metals”. The list of the patent co-authors also includes Hungarian nationals: Kaplony Miklós and Imre Fazakas, who also co-owned METRATEK Kft at that time, according to Hungarian registers. It was Kaplony who signed the agreement with Osma Oil. Spetsservis concluded an agreement on production supplies with Roscop Inc in the end of 2002. 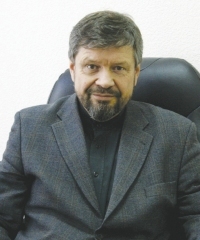 Boris Nikolenko sold the mixed-up tars back to Igor Nechaev. Documents referred to them as a ‘modifier’. This is also when Nechaev established a link with Transnistria, Moldova. The tars reached a cement plant in Rybnitsa, Transnistria, as a ‘construction modifier’. We met several witnesses of the ‘chemical import’ that agreed to share their perspectives of the story. Things started to go wrong as soon as during the unloading of the first batch, 928 tons of the newly purchased chemical. Workers had to be taken to the Rybnitsa district hospital urgently. - It immediately caused ‘sandpaper’ in the eyes, I got dizzy and struggled to breathe in, while spots covered my body, - remembers one of the victims. – An investigator from the Ministry of Energy talked to all of us; he asked about each detail of the story and recommended to keep it in secret. A criminal investigation was launched. Environmentalists sounded the alarm. The story received media coverage. - We dealt with this case together with now-deceased Evgeny Berdnikov who was a court-appointed manager of Rybnitsa cement plant then, - noted Nikolay R., the-then officer of the local environmental inspectorate. – Our key achievement was that, instead of the originally planned 10,000, just 928 tons reached Rybnitsa. This was probably a trial batch. If this supply had gone without any noise to Transnistria, our region could have ended up as a final destination of any hazardous chemicals rejected by other locations. Geohidroterv Kft provided Spetsservis and Osma Oil with a ‘technology for pre-application treatment of acid tar’. Why did not Hungarians deal with the disposal themselves? Why even three foreign companies were involved in the tar agreements? Where did the waste actually come from? Documents that we have received indicate that MOL, a Hungarian giant and a major petroleum company of the European scale, was the primary owner of the tars. The company’s operations across the country produced over one hundred thousand tons of acid tars and maleic anhydride sludge. Hungary had to clean up the waste in run up to the EU accession in 2004 to meet the European environmental provisions. We have managed to get documents from Budapest police department. Sárközi Attila, a police lieutenant from a special cases directorate, examined a MOL representative in the end of 2006. 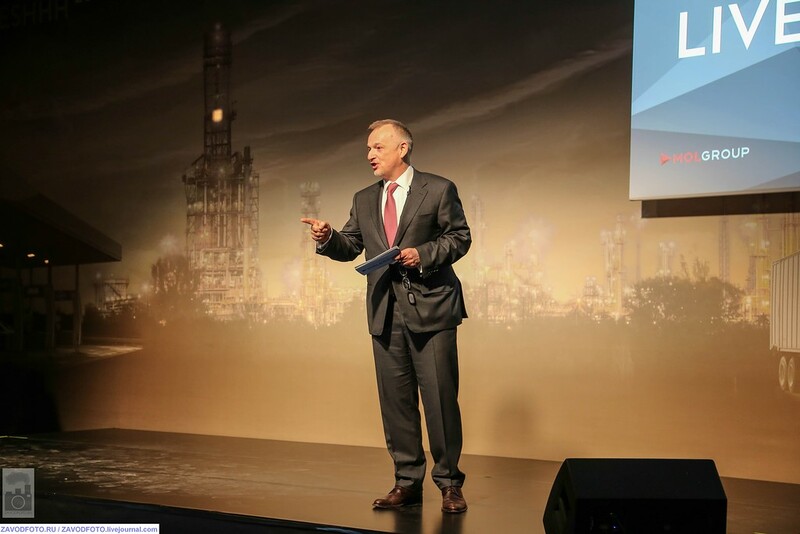 Frigyes Bozsik, the then advisor of the company president, described the story as follows: “Based on instructions from Hungary’s institutions of environmental protection, the MOL leadership approved a project for acid tar deactivation. <…> Primarily, the disposal had to take place in Hungary. Trial burns were conducted at Ajka thermal power plant, Danube cement factory and limestone integrated plant. Amid local public protests and dissatisfaction expressed by environmental groups, a corporate body <…> announced a tender won by Geohidroterv, a Hungarian firm, to conduct the pre-treatment of the waste at base yards of MOL and later to transfer it to a Ukrainian contractor for final disposal,” – said Frigyes Bozsik to the Hungarian investigator. So now it is clear why the tars, nicely packed into the ‘hi-tech’ cover, were brought to Ukraine and, eventually, to the Transnistrian region of Moldova. The public and environmentalists of Hungary just prevented MOL from burning them away. It forced MOL to agree with Geohidroterv Kft to avoid reputation damages. 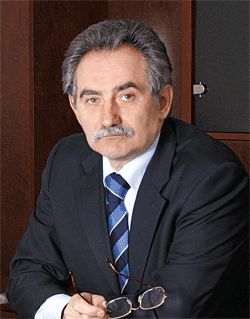 Sajgó Zsolt, an executive director, signed agreements with Ukrainian firms on behalf of Geohidroterv Kft. He was also questioned by the police department of Budapest. Mr Sajgó told Hungarian investigators that “Roscop company and, on its behalf, Matratek firm were Geohidroterv’s contractors in charge of transporting and deactivating the waste in Ukraine”. 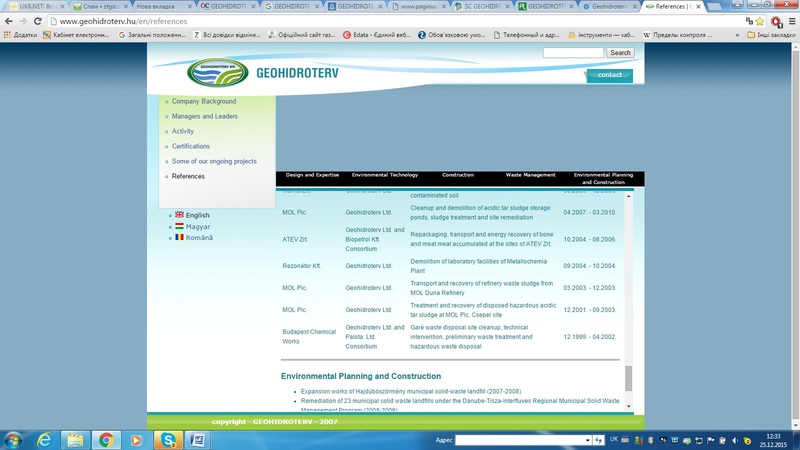 Sajgó also told how Geohidroterv Kft entered the Ukrainian market: “We contacted a firm called Spetsservis in 2001 through Roscop limited liability company and a person referred to as Igor Igorevich Nechaev. The abovementioned person was in charge of looking for companies <…> to undertake obligations for receiving and disposing hazardous waste,” – noted Sajgó. Let us summarize what we have so far: the public in Hungary forbade MOL from burning and processing acid tars. Therefore, the petroleum titan hired Geohidroterv Kft which in its turn hired Metratek Kft and Roscop Inc. Kaplony and Nechaev, respectively, are top managers of the two firms and also co-owners of Metratek Kft. They are also co-authors of two patents in Russia. Nechaev negotiates in Ukraine and escorts the cargoes. Together with partners, he also creates Inter Invest in Lviv for transforming the Spetsservis-purchased tars into a modifier. Simultaneously, Nechaev works for Osma Oil and even holds an operating technologist’s ID. Artyushchik from Russia, Nechaev’s partner, is a co-founder of Interkom Servis, a company for waste processing. Serhiy Fedoseyenko is a director and a co-owner of both Interkom Servis and Inter Invest. His declared home address is at Parfonovichiv Street in Lviv. Fedoseyenko’s signature approves a lot of documents on cross-border transportation and reception of cargoes by Osma Oil. We have learnt that he worked as a deputy director of this company. Osma Oil was actually created months before the tar story. Policemen in Lviv examined Fedoseyenko within the criminal investigation and found out that he was a Russian national born in Krasnoyarsk Kray. Fedoseyenko insisted that he was just a nominal director and owner, while Nechaev was the real one. Fedoseyenko argued that he was a driver of the boss, driving him around, sealing and signing documents for Nechaev without reading them. However, witnesses noted that Nechaev would not have problems with driving an excavator and mixing up the tars in person. All these circumstances considered, Artyushchik, Nechaev, Fedoseyenko, and Kaplony, all of them clearly contributing to the scheme, are obviously mere executors rather than real deal makers. Serhiy Fedoseyenko is known to opencorporates, an open data portal, as the President of, again, Roscop Inс. The company is registered in the USA, Wyoming State. However, a local register indicates that the company has never owned an office in the US. Roscop Inс’s declared address until 2007 was the office of Rosa Corporate Services Inc. This company is a so-called registered agent, with legal address provision being one of its purposes. According to regulations in some states, if a state-registered company is physically outside the state, it must have a legal address in the state for all pieces of mail. Roscop Inc. ‘moved’ in 2007 to Paraklisia, a tiny town outside Lemesos, Cyprus, with a population of 2700. Hungarian Kalman Konyves-Toth is both the secretary and director. We have managed to obtain a registration file of Roscop Inс which indicates the same person as a co-founder, too. Konyves-Toth declared Budakeszi town, close to the Hungarian capital, as his place of residence. Fedoseyenko and Konyves-Toth also run Unipro Development Limited company with the same address in Cyprus and registered in, once again, Wyoming. Konyves-Toth is indicated as the head of ‘American’ companies: Silver Rain Inc, Pirit Trading Ltd. and Overseas Projects Ins, the latter sharing the offshore domicile with Roscop Inс. Overseas Projects Ins co-owns the Hungarian Er & P Kft, registered at Olajliget Str. 38 in Budapest, several houses away from Silver Rain Inc. This is the same address as the one declared to Hungarian registers by Nechaev and Artyushchik as their place of living. Er & P Kft changed its legal address several times. For a certain time, the company was registered at the place declared by Konyves-Toth as his home address at the registration documents of Pirit Trading Ltd. company. This is the body which points to a more realistic candidate to be the acid tar deal-maker. Meet Imre Fazakas, the President of Pirit Trading Ltd.
Apart from featuring at the US, Cyprian and Hungarian registers, Konyves-Toth has also once run the Slovakian IF CONSULTING, s.r.o. Fazakas is a sole owner of this Bratislava-based company. To our current knowledge, he has also co-owned Metratek Kft for a while. After being used for implementing the ‘tar business’, Kaplony, Nechaev and Artyushchik lost their shares in Metratek Kft. That was Fazakas who bought up the 37 per cent of the company and increased his share, something that allowed him to reinforce his role in Metratek Kft. By the way, Konyves-Toth is one of authorized recipients of the company. Run by Konyves-Toth, Unipro Development Limited even had a joint business with METRATEK Kft in Romania. Documents of Sibiu city court indicate that these companies were creditors of the Romanian Metratek RO S.R.L. Konyves-Toth is also an executive director of REDIS Kft owned by Fazakas and his wife. Fazakas is a well-known Hungarian petroleum tycoon. He is not a stranger in Western Ukraine: B. Horváth Lilla, a journalist of an online-media outlet Vilaggazdasag, found out that the oligarch received his higher education degree in Lviv. He spent many years doing business in Moscow after that. As hundreds of railroad carriages full of acid tars travelled to Ukraine in 2001-2003, Fazakas was a representative of YUKOS, the then leading Russian oil company, in Hungary and Central Europe. MOL and YUKOS actively and successfully cooperated in oil trade, something Fazakas willingly shared with journalists in those days. YUKOS was also MOL’s partner in developing Zapadno-Malobalykskoye oilfield. In 2002, the Russian oil player also owned 49 per cent of TRANSPETROL a.s., an operator of the Slovak section of Druzhba oil pipeline. The commercial register of Bratislava district court shows Fazakas as a member of the Board of the Slovak company. After the forced bankruptcy of YUKOS, another company became a partner of MOL. The quarterly report’2010 of the oil joint stock company RussNeft told us that Fazakas presided over the Board of directors of the limited liability company Zapadno-Malobalykskoye where RussNeft owned a 50 per cent share, while MOL held another 50 per cent by 2013. According to the public information available, MOL is still in control of sites at two oilfields in Russia. The external economy information portal of the Russian Federation’s Ministry of Economic Development announced in 2010 with a reference to Nepszabadsag, a Hungarian newspaper, that Fazakas became a member of the Board of MOL Energy Trade, an ex-subsidiary of MOL. 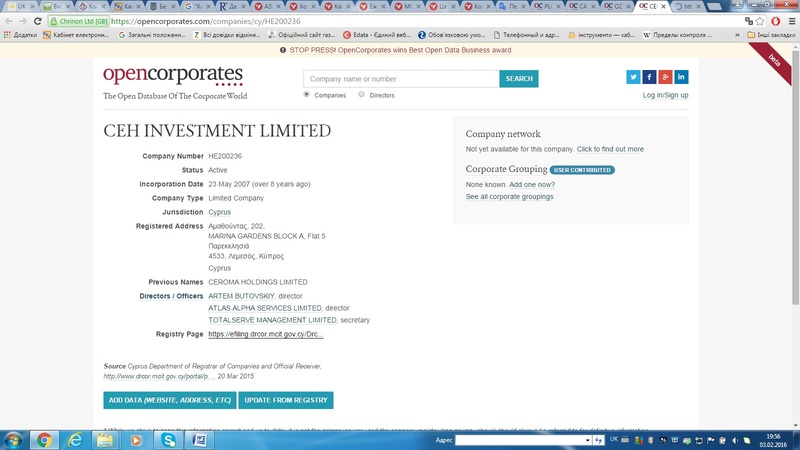 Months before, Normeston Trading Limited, an offshore actor from Belize, purchased 50 per cent of the Hungarian petroleum giant’s sub-company. We have learnt that, apart from his administrative position, Fazakas had another role in MOL Energy Trade. According to the Slovak antimonopoly body’s decision of 22 October 2014, a document we have found, Imre Fazakas and a Russian Lev Tonkachev became owners of 75 gas stations in Hungary and 19 in Slovakia via Norm Benzinkut Kft and Normeston Trading Limited, following Lukoil’s move in 2014 to sell the gas stations to the Hungarian Norm Benzinkut Kft. The document we have seen approved the sale, but it also shed light on final beneficiaries of the Belizean offshore Normeston Trading Limited. As we can see, the Hungarian oligarch’s cooperation with MOL has endured since the tar business and grows even stronger every year. Fazakas contributed to one of the biggest international corruption scandals of recent years, as well. This refers to the criminal prosecution of Ivo Sanader, the Prime Minister of Croatia. The Croatian justice charged him with receiving a 10 million EUR bribe, the money he allegedly received in 2008 from Zsolt Hernadi, MOL’s executive director, for his assistance in an acquisition of INA, the largest Croatian energy company, by the Hungarian petroleum giant. Austrian law enforcers arrested the Croatian ex-premier in the end of 2010 and extradited to Zagreb months later. As repeatedly covered by Croatian media, videos from meetings of Sanader and Hernadi in a restaurant were provided to the court as an evidence. Later, the former prime minister faced more and more corruption and bribery charges. The court in Zagreb sentenced Sanader to 10 years of prison in 2012, having found him guilty in two episodes, one of them being the bribe from MOL. The Croatian justice asked the Hungarian government to extradite the executive director of the key oil and gas actor, Hernadi, a move rejected by Budapest. The Supreme Court of Croatia upheld the sentence against Sanader in 2014, having reduced the imprisonment term to 8.5 years. However, the Constitutional Court overturned the conviction last summer, resulting in a release of the ex-premier on bail in autumn. Battles in courts are still ongoing. The European press is active in covering Sanader’s trial. Reportedly, MOL used services of two Cyprian offshores, Ceroma Holdings Limited (Cen Investment Limited as of today) and Hangarn Oil Products Trading Limited, for the bribery payment. From these companies, the millions hit the account of Xenoplast Shipping AG, a Swiss company owned by the premier’s close friend Robert Jezic. Jezic became a crucial witness for the prosecutors, as he was a key source of information about the scheme. As we have found out from the Cyprian register, Fazakas is still one of senior bosses of Hangarn Oil Products Trading Limited. He confirmed in 2012 that he co-owned the above-mentioned Cyprian offshores along with Mikhail Gutseriev, a Russian oligarch. However, he strongly denied the accusation of MOL’s bribe to Sanader. Atlatszo.hu, a Hungarian online medium, published findings from the oligarch’s examination with a reference to the webpage of Croatian Jutarnji List. “In contrast to statements by Robert Jezic, Sanader’s ex-friend and the key witness, Fazakas told the court that he had wired 5 million euros to the bank account of Jezic’s Swiss company Xenoplast without an intention to transfer it to the former premier. In an opinion of Vanja Marusic, a prosecutor, Fazakas told a lie; Marusic claimed that the wired five million euros constituted just a half of the bribe paid by MOL to Sanader for obtaining the managerial powers over INA”, noted Atlatszo.hu. For a good reason have we described this case of corruption in so many details. Interestingly, the legal address of Hangarn Oil Products Trading Limited, a company that has Fazakas among its directors, something he has also confirmed during the hearing, coincides with the legal address of (sic!) Roscop Inc and other offshore companies run by Kalman Konyves-Toth. It looks like this person is a long-time manager of the Hungarian oligarch. For instance, Fazakas is a sole owner of IMFA PETROLEUM Kft, a Hungarian oil company. The company’s address is Budakeszi, Fő utca 14, the same as Konyves-Toth’s personal address he has indicated for the registration of Roscop Inc. In those years, it was also Contradex Kft’s legal address. Our Hungarian colleague from the abovementioned Atlatszo.hu, Sarkadi Nagy Márton, found out that Fazakas was a co-owner of the company. He also discovered that Contradex Kft had featured in the offshore gas deals-related case. However, it is time for us to return to the acid tar story. What are the reasons for us to claim that it has all features of criminal offences from the perspective of Ukrainian, Moldovan and international law? All associated documents of agreements signed by Geohidroterv Kft, Metratek Kft, Roscop Inc, Spetsservis, and Osma Oil, indicated heavy metal and toxic agent contents within limitations of both EU and Ukraine’s health legislation. It is proved by documents and certificates of Geohidroterv Kft, that we possess. However, our findings show that the actual composition of the imported Hungarian waste was completely different. Therefore, while the papers declared safe chemical parameters, the cargo was quite different in fact. When plainly asked by the Hungarian police why the factual composition of the commodity was different from indicators in the documents, the advisor of the MOL President retorted: “We do not possess any data that would imply a non-compliance with the factual composition”. We have more interesting documents to share with you. In 2005 to 2007, the Lev Medved's Institute of Ecohygiene and Toxicology, a respected Ukrainian think tank researching hazardous waste, now called the Medved Research Center of Preventive Toxicology, Food and Chemical Safety of the Ministry of Health, Ukraine, conducted three pieces of research of the waste imported from Hungary. Notably, the tars have undergone no operations by now, therefore, their composition stays the same as in 2005. 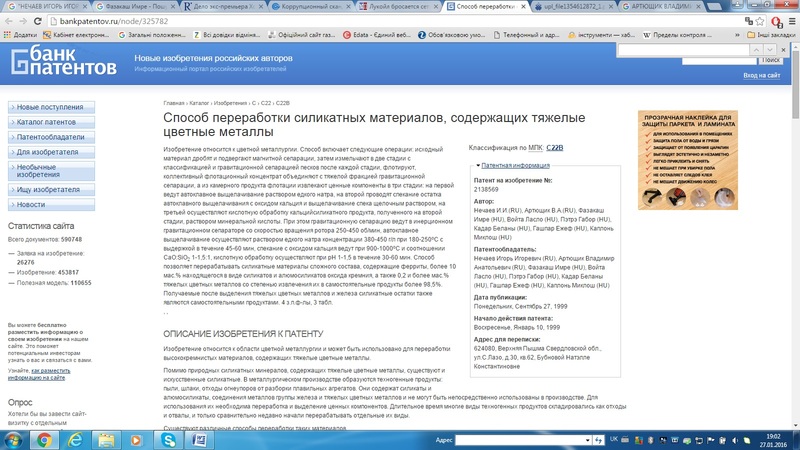 18 scientists of the Medved Institute signed the study reports. Thus, representatives of MOL and Geohidroterv Kft ensured the police in Hungary that the acid tars had been disposed and transformed to a modifier by 2005. When questioned, they also claimed that the tars had been neutralized before transporting to Ukraine. However, the Ukrainian experts proved that the sulfuric acid had not been neutralized at all in a part of the waste imported. Having brought their conclusions together, the scholars diagnosed that the waste constituted ‘acid tars of varying periods of storage’. The Medved Institute checked five samples brought from all storages of the waste in Lviv region. They discovered that the lead load exceeded the health legislation limitations almost twofold. Chrome, nickel and manganese indicators were also in large excess over the limits. Critical levels of cuprum surpassed the legal restrictions by 17 times, zinc by four, and cadmium by 11 times. Outrageously, samples from Dobrotvir thermal power plant contained a huge amount of antimony. What do such indicators mean? Experts concluded that the presence of the identified ‘heavy metals, under the influence of the environment factors, such as temperature, humidity, sunlight insolation, or acidity, and chemical processes in the environment, can lead to their migration to ecosystems <…> and penetration to human bodies, and cause negative impact’. The researchers also brought possible threats to the population into focus. They noted that cuprum would cause functional disorders of nervous system, dysfunction of liver and gastrointestinal system. Zinc affects upper airways. Chromic compounds strike kidneys. Lead (plumbum) negatively affects the nervous and cardiovascular systems. Antimony is a threat for cardiac muscle; cadmium affects the heart, liver and bone tissues, and if nickel gets into a body, it causes a malignant tumour. Scholar are very categorical in their verdict: “The samples of the matter studied do not comply with the provisions of the health legislation of Ukraine”. In their conclusions, the experts also warn of multiple environmental threats: “If stored at the soil surface outdoor, the waste poses a threat to the environment and health of the population in surrounding areas”. The Medved Institute also ‘observed the migration level of hazardous chemical matters to aquatic habitats, discovering the excess of formaldehyde by 40 times, and, remarkably, phenol, 1500 times over the limits’. In explaining the latter point, experts noted that ‘aqueous run-offs of the matter can migrate widely from the storage location and pollute soil, rivers and lakes’. In Ukraine, the tar story is on everyone’s lips, while the Transnistrian region of Moldova keeps the case under seven seals. DZhiP, an environmental NGO in Rybnitsa, randomly surveyed one hundred of the town residents on our request. None of the respondents answered ‘yes’ to the question “Do you know something about the acid tars stored at the cement factory?”. There was an attempt to investigate into the ‘tar case’ in 2003, apparently ordered to stop and forget. In fact, with no access to documents about the story participants and amid unwillingness of witnesses to share, the concern is that people in Transnistria are very poorly aware of the land they live on. To tell the truth, the region has recently got the Register of Environmental Information Sources. However, it happened thanks to the Public Environmental Center in Bender. “Only NGOs care about the environment in the Transnistrian region of Moldova, - believes Leonid Tkachuk, a member of the Public Chamber of the Transnistrian region of Moldova. – The region has no environment protection institutions or environmental legislation. After the abolition of the Ministry of Nature Resources and Environmental Control, none of institutions are in charge of these duties. They say they want to harmonize the Transnistrian legislation with the Russian one? But the State Duma of Russia has passed over 80 laws on environments, while we only have eight outdated pieces of legislation. In terms of environment protection, we are back in 90-ies of last century. Let us get back to the Ukrainian scientists. Given high levels of polycyclic hydrocarbons, the Medved Institute warns about ‘possible leaks of these toxicants into the air’. We also have dioxins for the dessert, amounting to 554 – 610 ng/kg, while a permissible level in various countries fluctuates between 1 and 40 ng/kg, according to the experts. In Germany, a level of dioxins over 100 ng/kg is considered a critical soil pollution in need of remediation. The experts of the Medved Institute also warned that the discovered polycyclic benzene hydrocarbons and dioxins have carcinogenic effects, with unpredictable impact on the environment and population. The scientists concluded in a somewhat sarcastic manner: “Regarding the question on the area of application, the only answer possible is that it is non-existent, since we are dealing with waste, i.e. rubbish that Hungary has got rid of”. The Institute of Bioorganic Chemistry and Petrochemistry of the National Academy of Sciences of Ukraine has also scrutinized samples from the thermal power plant in Dobrotvir. In Section 4 “Findings” of the record Nr. 60a/50, lead load was 9 times above the permissible level. Despite this, the police closed down its investigation on importing hazardous waste to Ukraine in 2012. The law enforcers refer to permits and hygiene certificates issued back in 2001 to 2004, but they do not take into consideration the findings of the Medved Institute and Ekokhimsert. The Head Department of the National Police of Lviv Region insisted that, ‘as proved by expert examinations during the pre-trial investigation, the neutralized tar residuals <…> do not pose any sanitary or epidemiological threat for the residents’. In the meanwhile, the water pollution is under way around the waste storage, confirmed the Department of Environment and Natural Resources of the State Administration in Lviv Region. 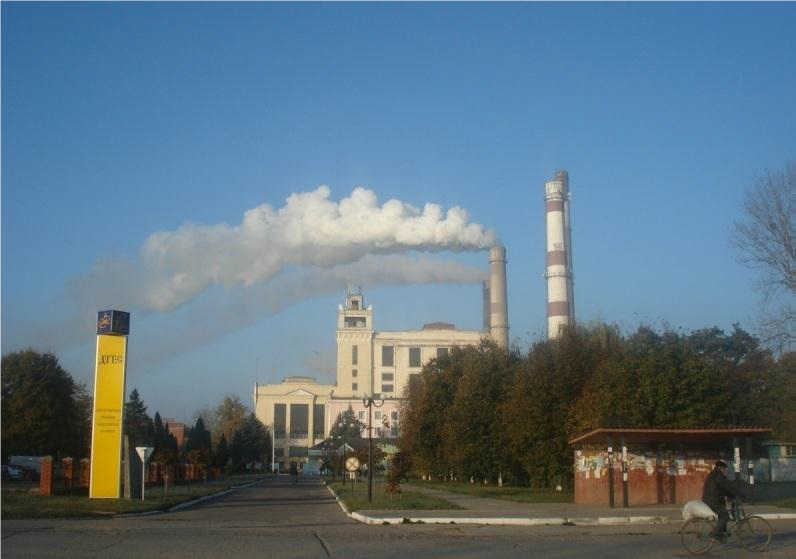 The State Environmental Inspectorate of Lviv Region discovered excessive levels of manganese, cadmium and cuprum at Sirka, next to the tar storage location. The waste from Hungary also pollutes soil, according to the Environment Situation in Lviv Region report in 2013 and 2014, as well as the report of the regional Department of Environment and Natural Resources. The over-limit levels of oil products, cuprum, chrome, and nickel, were documented next to Hlyboke Lake at Sirka; the same limits, along with zinc on the top, were exceeded near Prykarpatbud, too. The waste kept at Oniks, limited liability company, pollutes soil with cuprum and chrome. Lead went beyond limitations at the site of tar storage at Lvivpokizol. The abovementioned reports warned of a ‘direct threat for leaks of polluted rainfall run-offs into Hlyboke Lake and, through a connecting passage, into Dniester river, resulting in major negative implications, such as cross-border contamination”. Is it actually a threat? It is a reality, something proved and visually demonstrated by the Drone View of the Environmental Disaster Area of Lviv Region. Implemented by Varianty, a media outlet from Lviv, and supported by Freedom House, the project focused on video capturing of the affected area. Videos clearly show the waste still kept at the open air and puddles of black viscous substance reaching Hlyboke Lake, not far from the passage to Dniester. A lawyer Dmitry Skrylnikov says: “We could reimport the hazardous waste back to Hungary, since they were brought to Ukraine in a violation of Basel Convention. The factual composition of the cargo differed from the one declared in papers. The importer is obliged to accept the waste back. But it takes a political decision of our country’s leadership and a request from Hungary”. “Yes, we knew it was environmentally hazardous, just as the Ukrainian body did”. Let us note that transportation of hazardous waste to Ukraine is a lengthy and complex process regulated by the Basel Convention, a piece of international legislation on waste handling. Spetsservis and Osma Oil received licences from the Ministry of Ecology and Natural Resources of Ukraine for importing the cargo. The same institution permitted the cross-border transportation. The same person, the State Secretary Serhiy Hoshovskyy, signed the documents. As a matter of fact, he was a second person at the Ministry. Hoshovskyy family is a powerful political and managerial ‘clan’ since the times of the President Leonid Kuchma. Before coming to the Ministry, Hoshovskyy had been presiding over himself-created National Joint Stock Company “Nadra Ukrayny” (‘Mineral Resources of Ukraine’) by order of the President. During the tar story, the State Secretary’s wife Valentyna Hoshovska worked as the First Deputy Secretary of the National Security and Defence Council, the First Vice-Minister of Defence, and a member of the Coordination Committee for Combatting Corruption and Organized Crime under the President of Ukraine. Their son Volodymyr was a leader of the Socialist Ukraine party. … All criminal investigations closed down, the media noise calmed down, no one prosecuted. The hazardous waste stays there at the open air, polluting the environment of two countries. The environmental bomb can explode at any point on international scale. Mafia is a criminal organization interfering with country’s politics to achieve economic decisions beneficial for them. A crucial point to understand is that links between state officials and gangsters ensure the mafia’s omnipotence. Corrupted officials and politicians guarantee mafia’s immortality. Spetsservis, the state enterprise of the Interior Ministry of Ukraine, did not respond to our request. Osma Oil is bankrupt. Metratek Kft and Roscop Inc are out of business, too. We could not find Sergey Fedoseyenko. Other people own his former flat in Lviv now. Neither Hungarian, nor Ukrainian law enforcement agents could find Igor Nechaev. We did. Nechaev holds the position of a quality management director at Novaem, a Russian engineering holding. He also advises the CEO of Tekhnopromeksport Production Enterprise, the joint stock company owned by the state corporation Rostekhnologii; apart from implementing energy projects, the corporation also constructs petroleum industry facilities. Several years ago, when wanted by the Ukrainian police, Nechaev worked quietly at leading positions of the Territorial Committee for Natural Reserves Krasny Kotelshchik, joint stock company, and a major engineering company of Russia, EMAlyans. He also presided over a committee of the Federal Agency of Technical Regulating and Metrology of Russia (commonly referred to as Rosstandart). 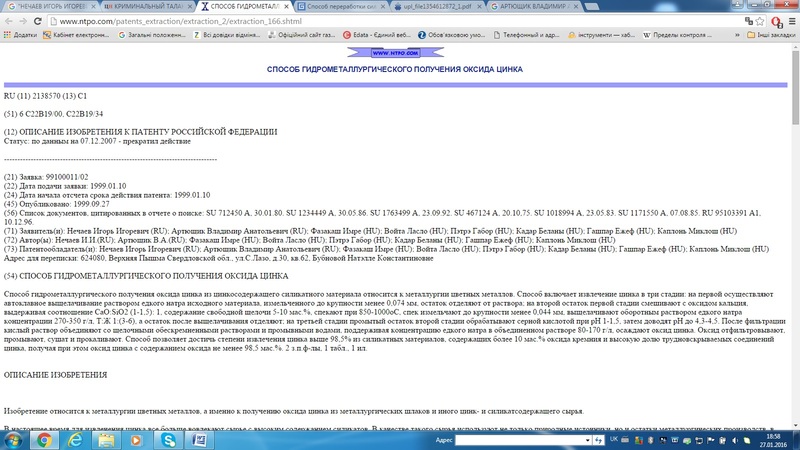 Igor Nechaev confirmed on a phone he was an author of the patents (authors’ remark: co-authors feature in this story). When asked about his cooperation with Imre Fazakas, he retorted that he did not know him. Nechaev also denied his participation in the tar case and insisted on hearing this story for the first time. 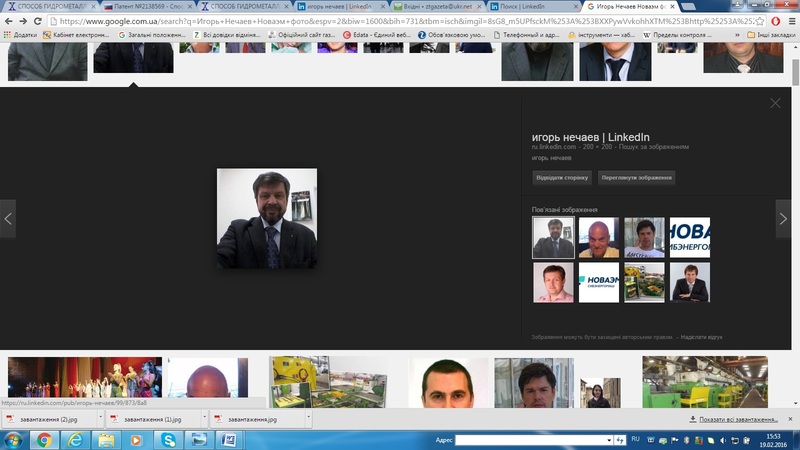 When we said that Sirka staff recognized him on a LinkedIn picture, Nechaev hang up on us. He deleted the picture from his profile minutes after our conversation. We have also contacted Serhiy Hoshovskyy who is now the Head of the State Institute for Geological Exploration, and asked him to comment on his complicity for the tar case. “I am interested to the max. Well, I couldn’t care less about this story”, - shot out Mr. Hoshovskyy. “I don’t care about what it was and what it will be”, - Serhiy Hoshovskyy hang up on us after this. We have also sent a request to Imre Fazakas to comment on his contribution to the tar story. No response has come by the time of the story publication. The research has been conducted as a part of Anti-Corruption Initiative Moldova-Ukraine, a project implemented by the Center of Investigative Journalism, the Mass Information Institute and Freedom House, with the support from the government of Canada. The stories from www.anticoruptie.md may be used in the limit of up to 1,000 characters. Web pages must indicate the source and link directly to the article. Print media, Radio and TV stations must indicate the source. Publishing full version of stories is allowed based on a prior agreement with the Center for Investigative Journalism. Articles published on www.anticoruptie.md are protected by the Law on copyright and related rights of Republic of Moldova.